Android Oreo is on its way to Android Wear watches across the globe as we heard late last year, but now we've had word of seven new watches that will also be getting the update. 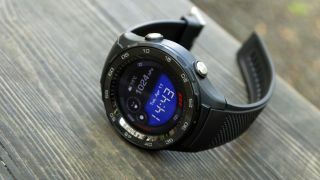 The new watches include the Casio Pro TREK Smart WSD-F20, Casio WSD-F10 Smart Outdoor Watch, Huawei Watch 2, Ticwatch S, Ticwatch E, Polar M600 and the ZTE Quartz. An exact timing for when the Android Oreo update will land on each of these watches is unclear, as this is just confirmation from Google that the manufacturers are adding the new features to each watch. Those features aren't groundbreaking - it's some improvements to the battery life and added customization options (such as being able to change the vibration levels), as well as support for extra languages. We know for certain the Huawei Watch 2 has already begun receiving the update in some markets. Some of those who are getting the update outside of the US and UK are also finding that the upgrade is bricking the Android Pay feature. A Reddit thread shows lots of users losing the feature, but Google says that Android Pay should never have been live for those outside of the US and UK. Whether Huawei will later push Android Pay to other markets in a future update remains to be seen. The Android Oreo update has already been confirmed for the watches below, and is beginning to rollout to devices now too. Watches confirmed for the update include the Fossil Q Venture, LG Watch Sport, Louis Vuitton Tambour, Michael Kors Sofie, Montblanc Summit, Hugo BOSS BOSS Touch, Movado Connect, Tommy Hilfiger 24/7 You, Guess Connect, Gc Connect, Fossil Q Founder 2.0, Fossil Q Marshal, Fossil Q Wander, Michael Kors Access Bradshaw, Michael Kors Access Dylan, TAG Heuer Tag Connected Modular 45, Diesel Full Guard, Emporio Armani Connected, Fossil Q Explorist, Michael Kors Access Grayson, Fossil Q Control, LG Watch Style, MIsfit Vapor and the Nixon Mission.